While decluttering my craft studio I found an unopened Paper Pumpkin kit so I took a break and put the cards together. I think I am all caught up now with the exception of the most current My Paper Pumpkin kit which I plan to do soon for Valentine’s Day favors. Today’s post is straight out of the May 2018 Stampin Up My Paper Pumpkin kit- Manly Moments. I am catching up and completing the kits so I decided to just do them as designed so I have some manly cards on hand. Today’s card is an alternated design using the It’s a Sarah Thing My Paper Pumpkin kit from a few months ago. This card is perfect for the birthdays near Valentine’s Day. Today’s post is a sweet alternate way to use my January Cute Conversations My Paper Pumpkin Kit. Rather than making the heart garland or treats as proposed in the kit, I decided to pair the big hearts with the Stampin Up It’s My Party DSP paper stack # 140552 from the Occasions catalog and the Cherry On Top #138443 DSP from the 2015-2016 annual catalog. The hello greeting is from the Hello #141240 stamp set in Stampin Up Sale-a-bration catalog and the You’re Sweet sentiment is from the Cute Conversations paper pumpkin kit. The Hello stamp set is free during sale-a-bration for every $50 spend in merchandise, you earn free product from the SAB catalog. However the Hello stamp set and a few other items will be replaced with new items on Feb 16th so be sure to check out the limited SAB items and stock up. 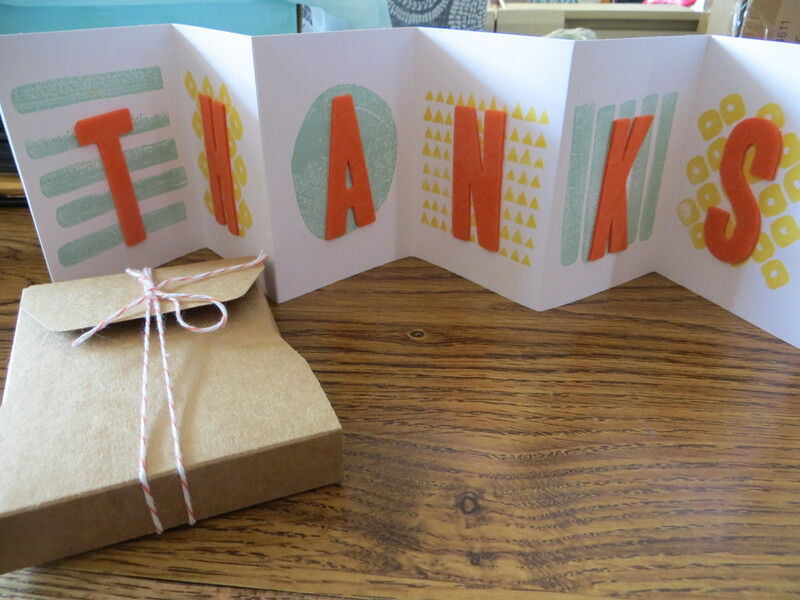 For today’s post I am featuring the February 2015 My Paper Pumpkin Kit called Layers of Gratitude. 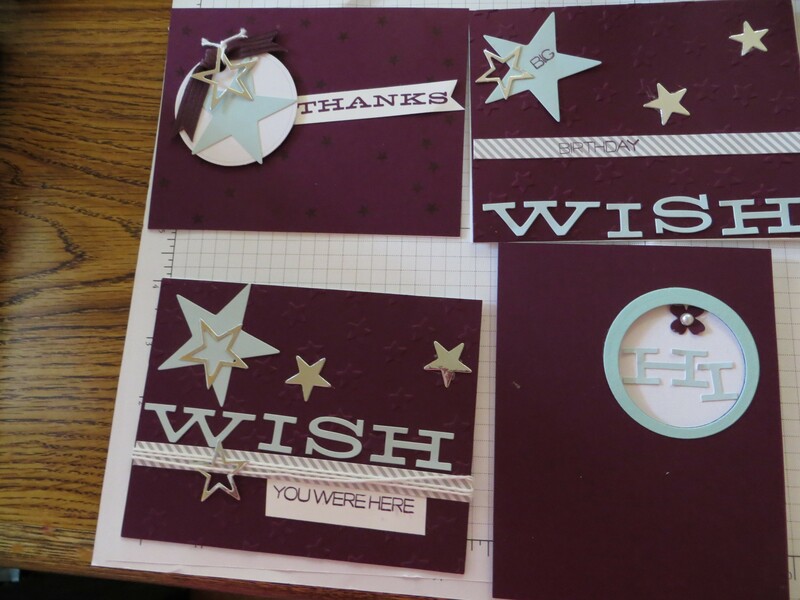 I needed birthday thank you cards so it was perfect timing to receive my kit and worked it up as designed by Stampin Up. The folded card fits nicely into the cute little boxes. The Stampin Up My Paper Pumpkin Kits are fun kits that arrive each month and it is a surprise each month to see what you will receive and that is part of what makes My Paper Pumpkin so much fun. Click here to subscribe to My Paper Pumpkin so you don’t miss out on all the fun. I was so excited when My Dec My Paper Pumpkin kit arrived in the mail that I stopped everything and made up all 9 of the cards in the kit. Check out the My Paper Pumpkin website to see what it is all about. I can thank my lucky stars that my son understands the power of a handmade card. In fact before heading off to college he wanted some cards to have on hand in case he got a care package or happy mail (defined as a card with something inside). He has always been trained to write a thank you note so I was glad to create a set of cards for him to have in his dorm in hopes that he will use them when the appropriate time comes. 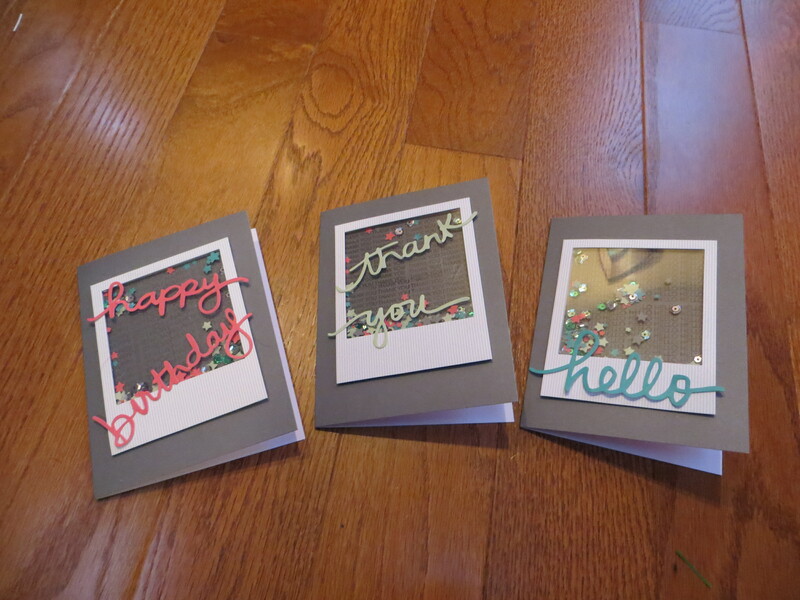 These cards were created using the left overs from my July paper pumpkin kit and blackberry bliss cardstock and in.